What Can You Cook in a Pressure Cooker? Pressure cookers are a convenient and fun way of cooking. They can be used to make great, nutritious meals and you can set off food before you go to work, and have it ready to eat when you get home. They're ideal for people who want to eat a little more healthily, but who are time-strapped and who cannot slave over a hot stove on an evening. You can cook almost anything in a pressure cooker. They are ideal for cooking things like chicken and turkey because they will keep the meat nice and moist. You can also use them to make stews, rice, pot roasts and other recipes. Most people’s first experience with pressure cookers is braising, stewing, or otherwise revitalizing tough cuts of common meats. You can also use them to cook dried pulses, making them tasty and giving them a nicer texture than you’d get from simply boiling them. You’ll find that if you try to cook fish or green vegetables in a pressure cooker, it might not work out so well, because of the high temperatures used. There are workarounds " you can add fish towards the end of the cooking time, and you can use lower temperatures, but it defies the point of having a pressure cooker in the first place. Pressure cooking is a ‘wet’ cooking technique. This means that you should always add at least a couple of centimeters of water to the pressure cooker before starting to cook. You should heat the pressure cooker up, and then try to maintain the same level of pressure for the duration of the cooking time. The cooking time starts when the correct level of pressure is reached, not before. Pressure cooking will make a brilliant stew, but unlike boiling things in a pot, the water won’t evaporate. This means that if you want to make the flavor stronger and reduce the amount of water, you will need to simmer the dish once the cooking is done. Be careful with your pressure cooker. Don’t open the top, because there will be a lot of steam in there. You can either let the pressure drop naturally first (Which means that the food will still be cooking for a little while after you take it off the heat) or you can put the cooker under the cold tap to cool it more quickly. Whatever you do, make sure that the pressure is significantly reduced before you open the cooker, so that you don’t get burned from the steam. You can make some great, low-cost meals using cheap cuts of meat, beans, pulses and other cheap ingredients in a pressure cooker, and since it’s a set-it and forget-it method of cooking, you won’t have to pay too much attention to it until it’s almost ready to serve. It’s easy to understand why pressure cookers have come back into fashion in recent years, especially with busy workers and cash-strapped young students. Please visit InstantPot site for more information. We've Compiled 10,000+ Reviews to Find You the Best Instant Pot! 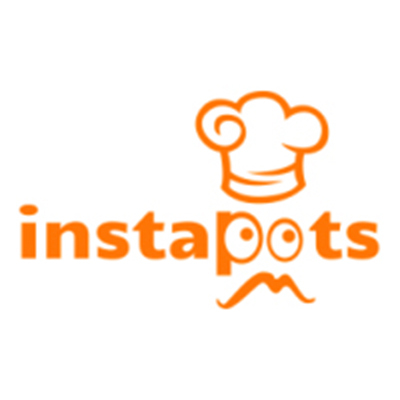 We break it down to help you figure out the best Instatpot for your kitchen whether you're single, a student, a busy mom we have a solution for you. Let us show you around the world of the Instant Pot LUX, DUO, Ultra, and Smart series.